Vietnam is a country where mountains and highlands are make up three fourth of its terrace. These areas are ideal places of picturesque sceneries and homes for ethnic minorities who make Vietnam a land of diversifying culture. Vietnam Mountain Holidays are perfect for adventurous travelers who have a craving for exploring wild nature, traditional culture and daily custom of the minority groups in the mountainous area. • Discovering the unique features of Vietnam stretching from the North to the South. 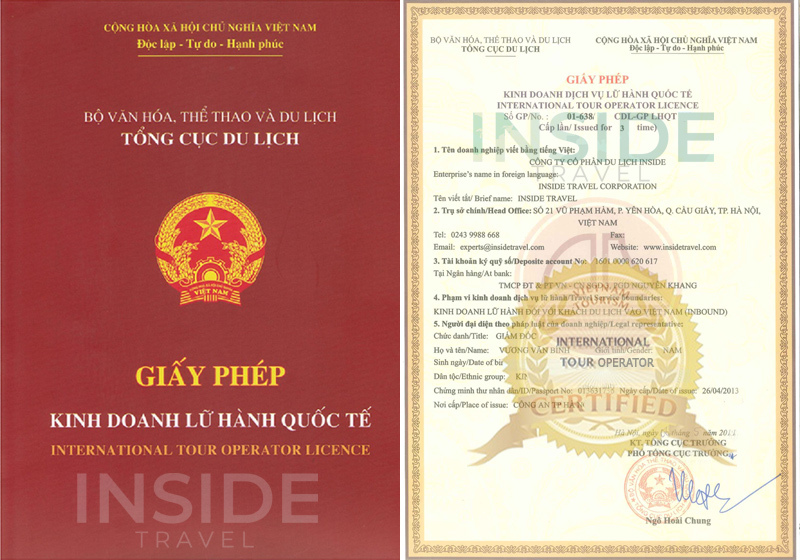 • Sensing the hidden charm of age-old cities in Vietnam: Hanoi, Hoi An, Hue. • Experience spectacular scenery of peaceful countryside, picturesque valleys, and pristine beaches. • Visiting Vietnam’s rural communities, remote areas and floating villages. • Exploring Vietnam’s abundant fauna and flora in the jungle or at some eco-parks. • Gaining hands-on experiences of making farm produces, traditional food and handicraft products. • Enjoying local delicacies at a food stall deep inside a market place, with a local family or at restaurants designed in classic style.